Display DICOM thumbnails in Windows Explorer. DICOM Thumbnailer is a Windows Explorer extension for displaying thumbnails of DICOM images in your Windows Explorer. It makes it easy to differentiate DICOM images. Just install DICOM Thumbnailer, you will see that all of your DICOM files change from icons to thumbnails in your Windows Explorer. You can custom thumbnail size in Windows XP. 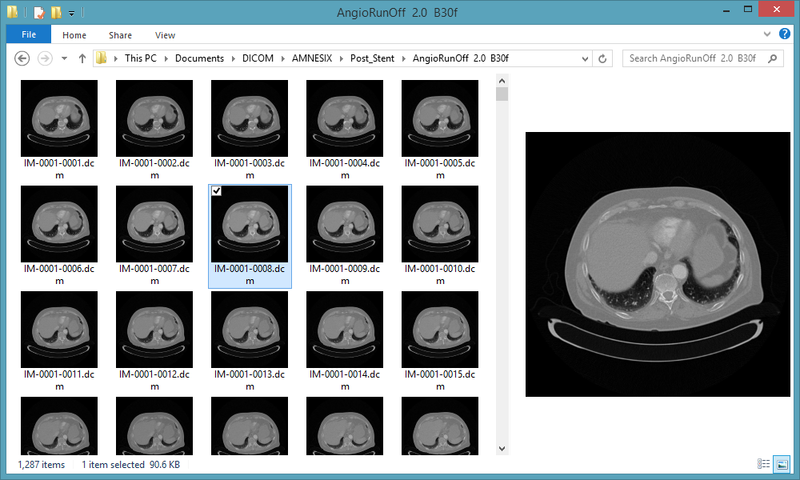 DICOM Thumbnailer supports RAW, JPEG, JPEG 2000, JPEG-LS, RLE, and most of DICOM formats.